They combine traditional and unexpected fibers, variegated colors, and novel finishing techniques with precisely executed design. 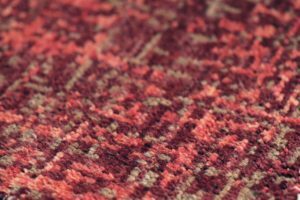 Working with talented Afghan, Tibetan, and Indian artisans, Kesch offers hand-knotted textures that elevate rugs from two-dimensional floor coverings to fully designed objects that are not merely seen, but experienced. Kesch is headed by Amy Hughes and Rucker Culpepper. Amy is the President & Creative Director of Kesch, specializing in the experimental design of hand-knotted rugs as three-dimensional objects. Her rug collections have been featured in the Robb Report, Elle Decor, House Beautiful, and Interior Design magazines, gracing homes, executive offices, and luxury hotels across the world. Founder Rucker followed an unlikely path into the rug world. As a marine infantry officer in Afghanistan, he began working with his local interpreters on visas to escape the dangers facing them and their families. One of his interpreters, who grew up weaving luxury rugs in a refugee camp, was denied his visa on a technicality, so he and Rucker decided to start importing rugs to fund his move to Dubai and secure his family. Rucker’s work on refugee issues has been featured in the New York Times, Washington Post, and Military Times. He holds a B.S. from the U.S. Naval Academy and MSc from the University of Oxford, as well as credentials from the Graduate School of Business at Stanford University and Harvard Business School. 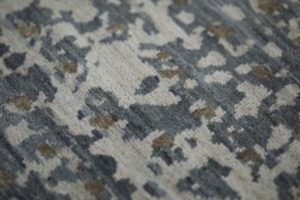 A portion of all proceeds from Kesch rugs benefit an education fund for children in violent conflict zones, primarily Afghanistan.